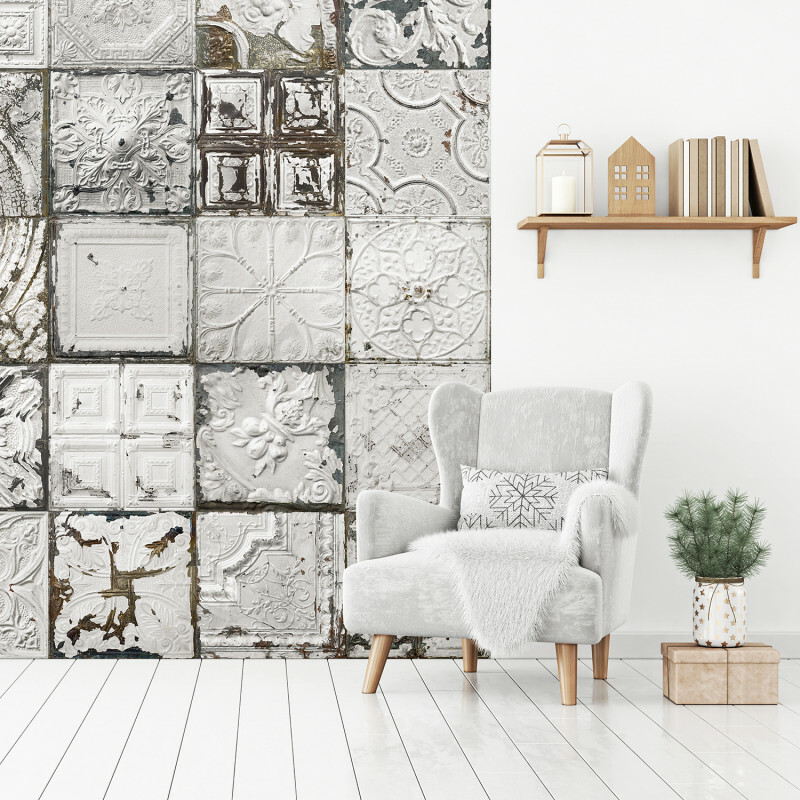 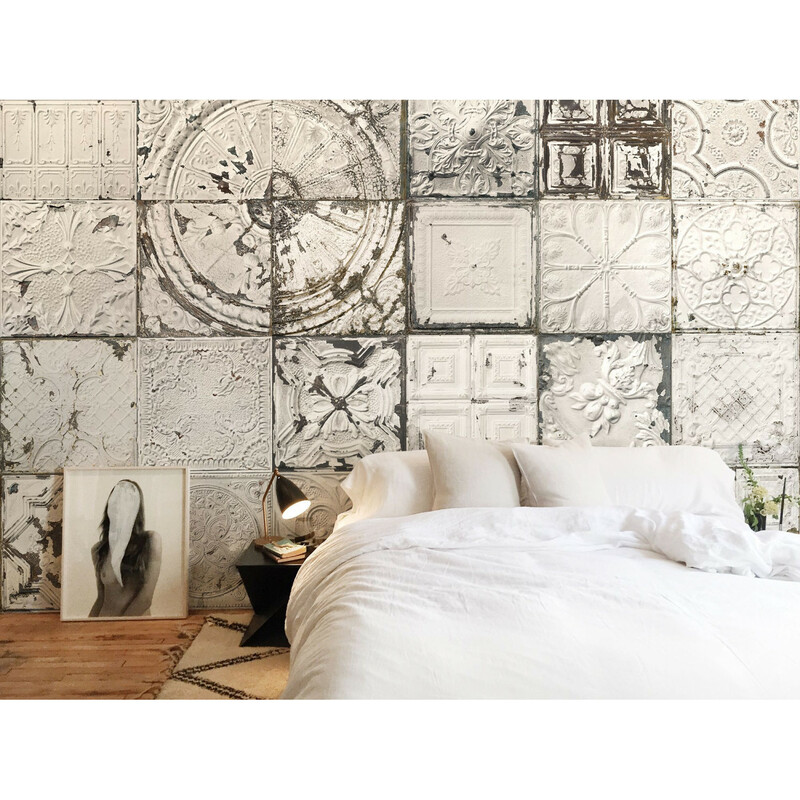 Enjoy all the classic charm of Victorian Tin Tiles originally used in decoration of beautiful English and American buildings of the 20th century in our XXL panoramic Tin Tiles wallpaper collection. 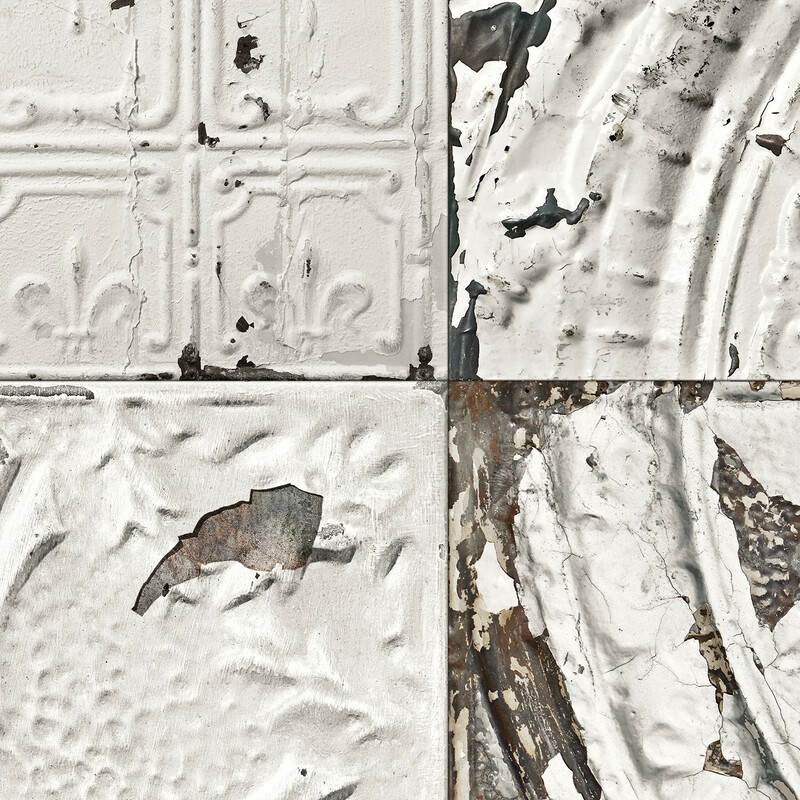 Patinated metal and vestiges of antic paint are perfectly highlighted and completely assumed. 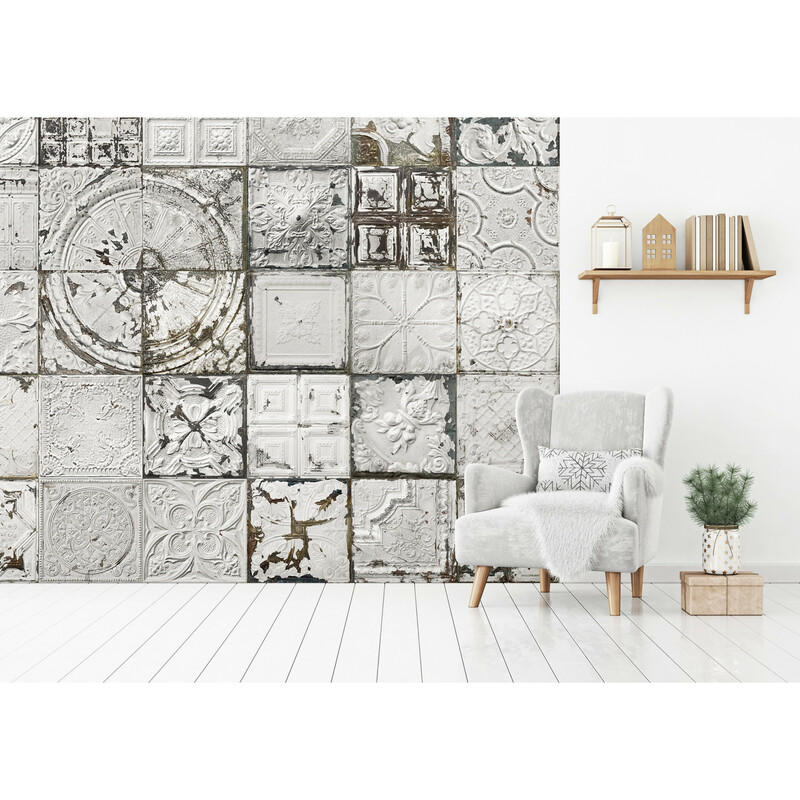 As an original embodiment of the past our Tin Tiles integrate with all their beauty all decors from the industrial to the chic ones.